1. People who look for a home during the Holidays are Serious Buyers! 3. Since the supply of listings will dramatically increase in January, there will be less demand for your paticular home! Less demand means less money for you! 5. Buyers have more time to look for a home during the Holidays than they do during a working week! 6. 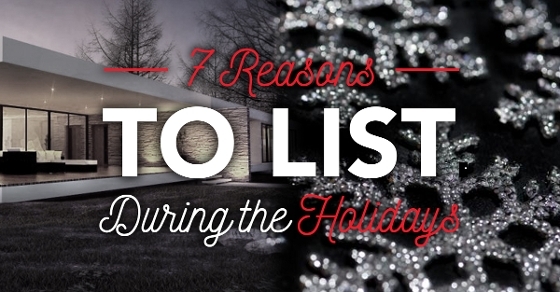 You can still be on the market, but you have the option to retrict showings during the six or seven days during the Holidays! 7. You can sell now for more money and not have to physically move until January or Febuary.... as opposed to just starting the whole process at that time.